This seems to be the issue with having more than one training droid in the tutorial. @OliviaThePorg Hi there, your account should be good now. We removed the extra training droid. Apologies for the inconvenience. Solved thanks for the speedy reply! your account should be good to go now. I've sent you the additional training droids to your inbox. Please claim them only AFTER you've completed the tutorial. 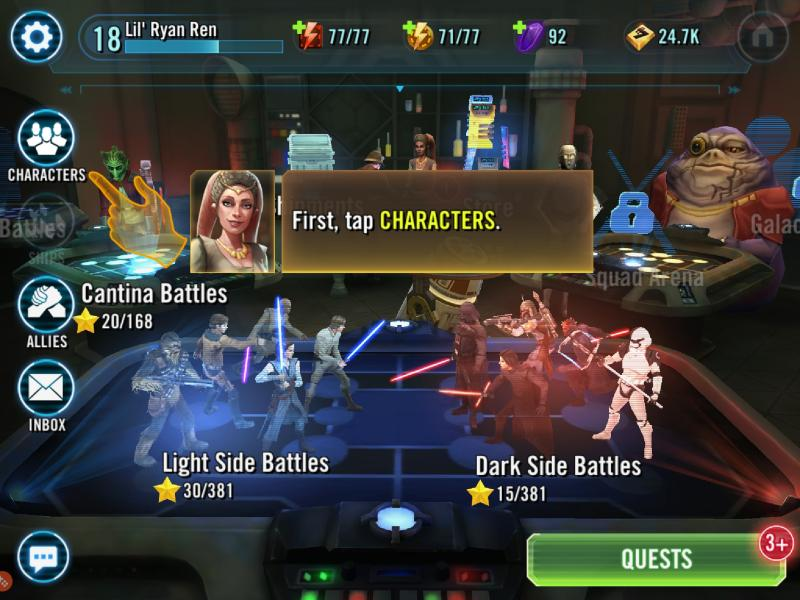 As soon as I start the app and it loads I have a girl appear on screen telling me the best way to level up is with the droids. 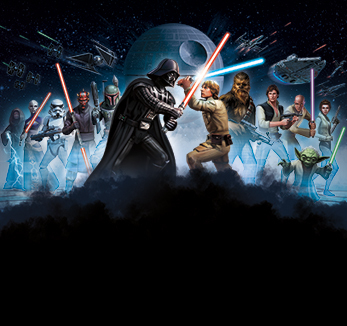 I can't interact with anything except the character select and once I do that I have to select the jedi consular. It still points to the train button and its still not highlighted. There's nothing else I can press I'm just stuck there. Sorry for the inconvenience and this is still after your help. Hi @Thomasyeah23 and thanks for the update. You leveled the Jedi Consular to it's max level, which is why you were unable to train it any further. We had to reset the char and granted you everything back, so once you've completed the tutorial you can level and upgrade the character again. Training Tutorial incorrectly shows again even though I completed it. 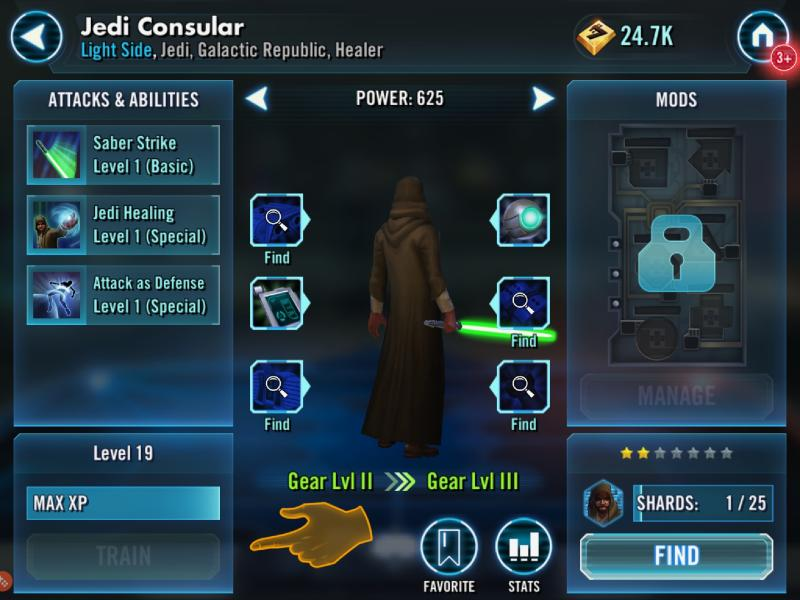 I can't train Jedi Consular because he is already max level for my player level. I've logged into my account using Google Play Games on multiple devices with the same result. Approximate period of the first download: ? Amount of 1* Training Droids: ? Amount of 2* Training Droids: ?